It’s incredibly active out there in today’s real estate market! People keep asking “Why is Tampa so hot” and honestly you wouldn’t read all the articles if I linked them here, so just Google for yourself. You’ll see a ton of great press on our area’s growth and future potential. We’re on the map and here to stay! Thank you, Mayor Bob Buckhorn. 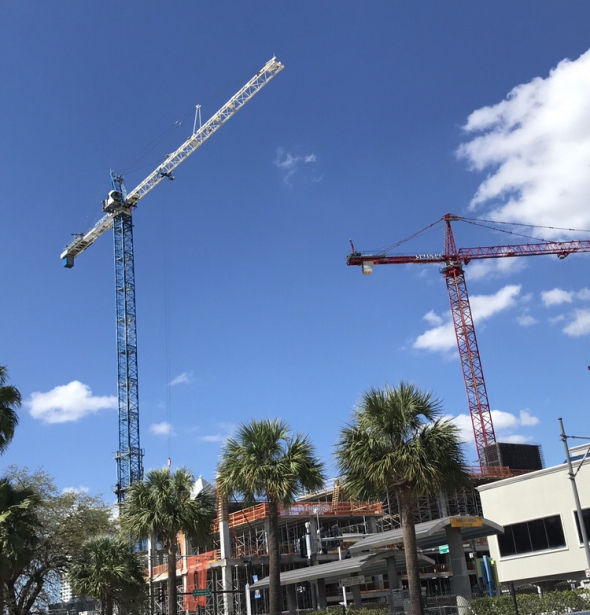 Tampa and Orlando metro areas are both expanding. We’re running out of large developable land in Hillsborough County’s core infill locations and moving towards the I-4 Corridor. Seller expectations are high, and some will either have to start negotiating realistic terms or live out their lives holding on to their properties due to pricing expectations. The question and conundrum of this market is, “Will the lack of supply be the only reason we don’t see record breaking absorption statistics?” We can’t create absorption if there is no available supply, and demand is outpacing supply at such a high pace that sublease opportunities will be key. Deals are going under contract within weeks, if not days, and full price offers are the expectation. Relationships are the most important things to rely on in this heated and feverish market, so that you can get the true story on a deal, understand the timeframe you’re on and gauge the depth of demand for any particular property. No one believes or trusts this market, and it won’t last long, so if you have to make a move in today’s market then you better have someone advising you on your side whom you trust. Otherwise, wait until things cool off and you don’t have to be rushed because decisions are being made quick. We have one year left of this and then there should be a correction. Not an economic correction that takes us down the same recession as last time, but definitely a correction coming. Inflation is going one way…interest rates will rise, and there’s a shopping spree coming once prices correct and smart investors who are hoarding cash starting buying, which means the next correction will be short-lived. So far the first quarter of 2018 has been active and reminiscent of a peak cycle. Fear and greed are back, and increased revenues with inflated profits will hide problems and mistakes (for now). Every aspect of the national economy and key economic indicators are showing growth and improvement except monthly retail sales, quarterly profits for retailers, and new residential home sales. The indicators with the largest growth include new residential construction, international trade, and quarterly profits for manufacturers. Be smart. Be informed. Be ready to execute on the right deal if you need to and be armed with an expert who knows the market. Call Fortress Commercial Real Estate, so we can talk expert advice on where your real estate strategy should be focused in West Central Florida. Fortress CRE adds value to business owners looking to grow through their real estate, office and building needs. Contact us online, call us at 813.444.3330 or email us at kostas@FortressCRE.com for more sound advice.